Posted by Sam Smith on Thursday, August 30th, 2012 at 5:39am. Newport Beach is home to many smaller islands where you will find a small number of ultra luxury homes located directly on the water front. 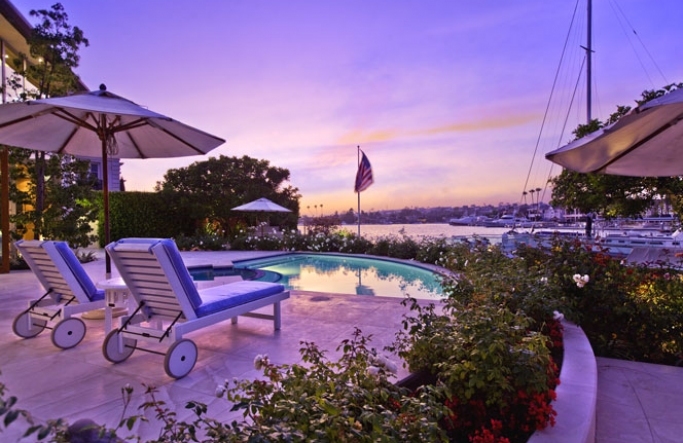 These bay front properties are the most covenant homes to be found in Newport Beach. We are often asked which is more expensive, Harbor Island or Bay Island? Over the years, Harbor Island has had record sales, with the top sale at $26 million dollars for a l andmark Georgian Colonial Harbor Island trophy estate, situated on a double lot . Currently, Bay island sports one of the most expensive bay front homes on the market, currently priced at $21,900,000 with the highest report sale in our multiple listing service at $6,982,500. Keep in mind that even those these island are located fairly close to each other when sailing through the bay their locations are slightly different. Residents of Bay Island must drive through the Balboa Peninsula area which can be very busy during the summer months. Harbor Island which connects with Harbor Island Drive is a close drive to Balboa Island and local shopping at Fashion Island shopping Center. all in all you can't go wrong buying in either of these two exclusive communities.